If you like ponies and online games where you can have a them, you will want to try the Pony Luv pony game! You can choose from a few different breeds (including a Chincoteague pony - one of my faves!) then buy accessories, take care of it, teach it tricks and compete your pony in racing or dressage. It's a cute game and you can download the free trial to your computer at the link below. You can play PonyLuv free for one hour so make sure you have time to play -- you'll get hooked!! You can buy the full version if you really like it. If you've played this game I'd love to hear from you! Share your Pony Luv review, tips, tricks, etc. Play Pony Luv pony game a fun online game for girls! 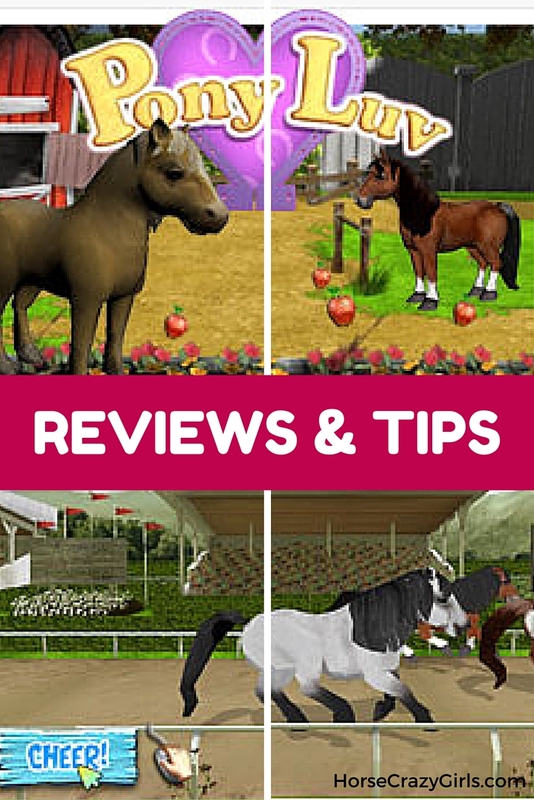 Share Your Review For Game Pony Luv! Tell us what you think of Game Pony Luv. Just use the comment link below to share your review. Do You Need Help With Game Pony Luv? Get free great pony and horse printables here! Learn about the United States Pony Club here!